Dr Linderman received his Doctorate of Medicine in 1996 and completed his Internal Medicine residency in 2000, both at the University of Nebraska Medical Center in Omaha. He also received his Master of Medical Management in 2008 from the University of Southern California in Los Angeles. He is Board Certified by the American Board of Internal Medicine and is a Fellow of the American College of Physicians. As the Operations and Human Resources Director at Lincoln Medical Education Partnership, Kathryn Harper is responsible for the day-to-day administration and operations of LMEP, ensuring that the right number of people and processes are in place to meet the strategic goals of the organization. Her oversight encompasses multiple areas, such as HR, employee benefits and payroll, policies and procedures, and building, maintenance, and tenants. Kathryn began her career with Lincoln Medical Education Partnership in 1999 as a bookkeeper. Over the years she has held several positions including being promoted to Director of Human Resources and Administration in 2009, and elevated to her current role in 2016. Kathryn attended Southeast Community College and the University of Nebraska-Lincoln. She received her Professional in Human Resources certification in 2004 and the Society of Human Resource Management certification in 2015. Michael Almond has been the Finance Director at Lincoln Medical Education Partnership for over three years. 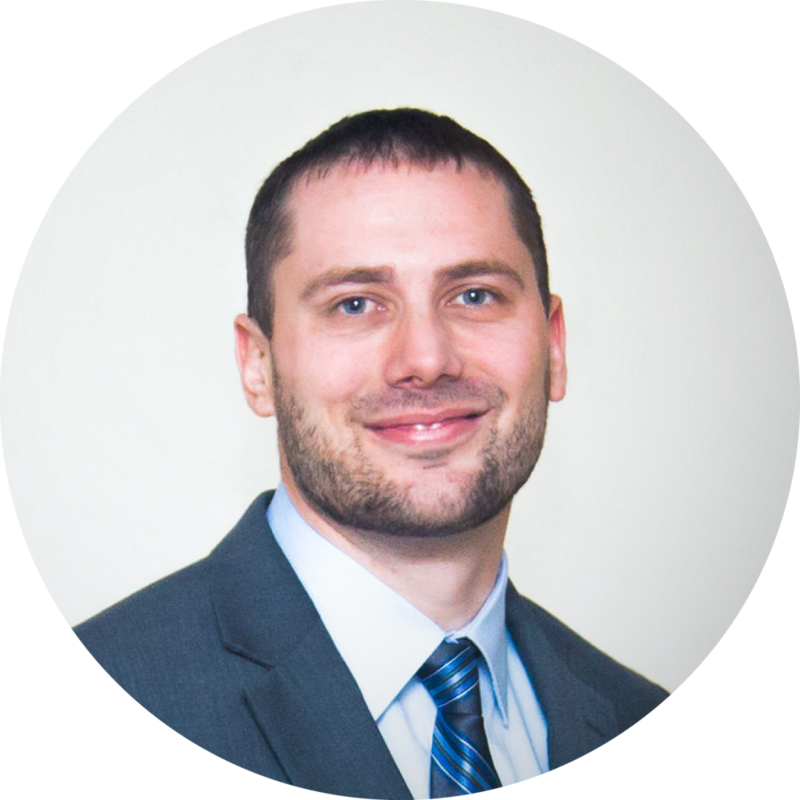 He is responsible for the overall finance and billing operations of the organization that includes managing day-to-day cash flow, ensuring LMEP stays within all accounting standards, compiling information for the 990 tax return and annual audit, all budget preparation monitoring, and financial reporting. Mike also monitors and writes all policies and procedures related to the finance department. Mike received his Bachelor of Arts Degree in Accounting from Doane College, and an Associate of Applied Science Degree in Business Administration with emphasis on Accounting from Southeast Community College. Prior to joining LMEP, Mike worked for more than 10 years in the government sector and in the not-for-profit industry. We treat the whole person by delivering high-quality medical care to patients of all genders and ages, and with a broad spectrum of illnesses, through our comprehensive services, including family medicine, obstetrics, pediatrics, surgery, and behavioral health. As one of the country's preeminent, community-based programs, the Lincoln Family Medicine Residency Program plays a crucial role in meeting the Midwest’s need for primary care physicians, attracting some of the brightest resident physicians in the U.S. and around the world. Our medically-trained acupuncturists offer an integrative approach to care by combining evidence-based Western medicine with acupuncture to improve your overall health. Our team of compassionate, caring professionals works to remove barriers so that individuals and families have access to programs and services, like outpatient substance abuse evaluation, counseling and treatment, food, and personal needs. We bring together families, school, and the community to support student behavioral and emotional health issues that can impact the school environment and put a student's ability to be successful at risk. We are committed to providing people with local access to cutting-edge cancer research through clinical trials so that we can identify more effective cancer treatments and improve the lives of cancer patients.